Water distributor with one inlet & two outlets. 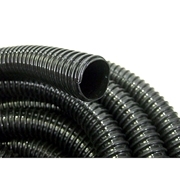 The 1-1/2" inlet has hose connections from 3/4" to 2". The two 1-1/2" outlets have hose connections from 1" to 2". Both outlets are individually adjustable. Use with Spiral tubing. Inlet: 3/4", 1", 1 1/4", 1 1/2" and 2"
Outlet: 1", 1 1/4", & 1 1/2"